Well, we at Nick Hammond Design have been so busy with updates from the new sponsored team members and their accomplishments that we forgot about our own! The other day, while checking out some resources on Twitter, we ran across a post on PSDFan. For those of you who don’t follow the online design resources too much, PSDFan is a very popular site that offers things from roundups for vector packs all the way to step by step tutorials for photoshop. 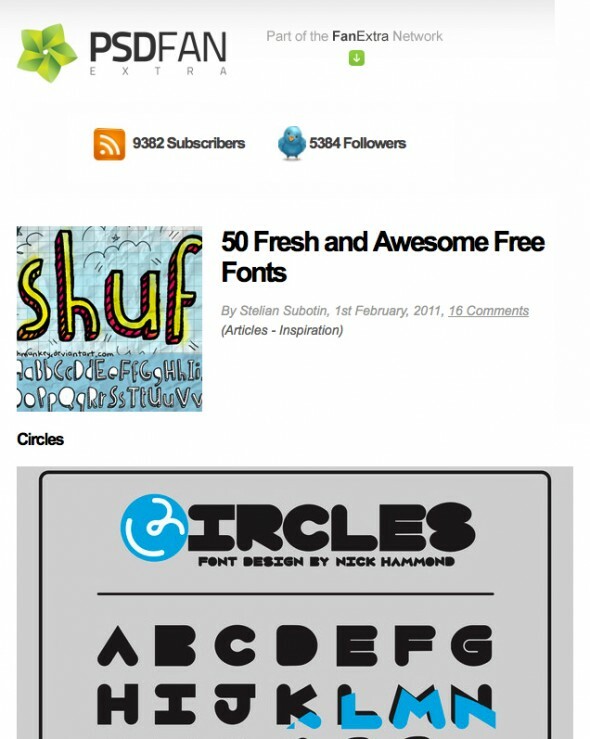 It just so happens that in this particular instance there was a post entitled “50 Fresh and Awesome Free Fonts” to which our font Circles was featured as the 3rd from the top! Exciting day at Nick Hammond Design to say the least. All of the news going on with the contests that just released, our sponsored team members, and now this? Its looking like its gonna be a fantastic year!